Why Managed vCenter Provider cannot be called Cloud Provider? Before I answer the question of the title of this article, let’s start with what is public cloud and how a public cloud can be defined. In cloud computing, the word cloud (also phrased as “the cloud”) is used as a metaphor for “the Internet,” so the phrase cloud computing means “a type of Internet-based computing,” where different services and applications are delivered to an organization through the Internet. Cloud computing is a method of computing that relies on sharing computing resources rather than having own dedicated local resources to handle workloads such as an application. In this type of computing, unused resources are released back to the pool of resources and reutilised when resources are in demand. Shared Hardware: By definition public cloud is a multi-tenant environment, resources are shared among clients. Multiple clients are hosted on the same hardware, storage and network devices as the other tenants in the cloud. Cost effective: Public clouds bring together greater levels of resource and so can benefit from the largest economies of scale. The centralised operation and management of the underlying resources is shared across all of the subsequent cloud services whilst components, such as servers, require less bespoke configuration. Some mass market propositions can even be free to the client, relying on advertising for their revenue. Ownership and proprietary obligations: You may curious to know who owns what between your cloud provider and you. Your cloud provider owns the layer of physical hardware which you don’t have any control or say what they buy or replace. But you have the ownership of your data, intellectual properties, virtual servers and application. As long as you pay the bills and you do lawful business on hosted environment, your service provider has no rights to switch off or being regular outage on the virtual servers and application without you being notified or compensated. Self-management: with the high volume, utility model, self-managed systems are required for this business model to make sense. Advantage here for the tech savvy tenants that like to setup and manage the details of their own domain, servers and application by themselves. In this type of cloud based solution provides client with control of their own data and intellectual properties. Self-service is also provide a sense of ownership to a tenant who is willing to manage their own uses of the service and application and keep track of bills and data they own. Security: Since public cloud is a multi-tenant environment, physical and logical securities are in place to protect a tenant being visible by another tenant. Security is not just placing a Cisco ASA or Juniper firewall in the front of internet and having some virtual switches in vCenter. This is the security that complies with corporate policies and regulations of each territories, the tenant resides. Utility Model: Public Clouds typically deliver a pay-as-you-go model, where you pay by the hour for the compute resources you use. This is an economical way to go if you’re spinning up & tearing down development servers on a regular basis. No Contracts: Along with the utility model, you’re only paying by the hour – if you want to shut down your server after only 2 hours of use, there is no contract requiring your ongoing use of the server. Delivery through internet: The availability of public cloud services through an internet connection ensures that the services are available wherever the client is located. This provides invaluable opportunities to enterprise such as remote access to IT infrastructure or online document collaboration from multiple locations. Examples: Microsoft Office 365. Hybrid Deployments: If a dedicated server is required to run a high speed and high IO database application that on-premises resources can be integrated from a private cloud to public cloud, in effect, hybridising the solution between virtual servers and dedicated servers. The service provider also provides you an option to hybridise your environment you own. To answer the question, here is my explanation why Managed vCenter Provider cannot be called Cloud Provider? A single virtual center server is a management point of this type of service provider mostly managed by the small technology team. This type of provider is acting as a trustee of your data instead of a cloud provider. There are possible security and compliance flaws of the systems you may not aware of. There might be potential many single point of failure you may not aware. The bills you received from this type of service provider you never been verified that you truly used those services and application because there is no self-service mechanism with this unscrupulous service provider. There is potential downtime and service outage with this service provider which you have never been compensated. This type of unscrupulous service provider do not follow any service level agreement or respect the agreement they signed. You are sacrificing your productivity by relying on them to provide you a hosted service which you never received with reliably. You cannot simply call them cloud provider. A term should be introduced saying “Managed vCenter” and “Trustee of Data”. I may be the blogger who is saying this. 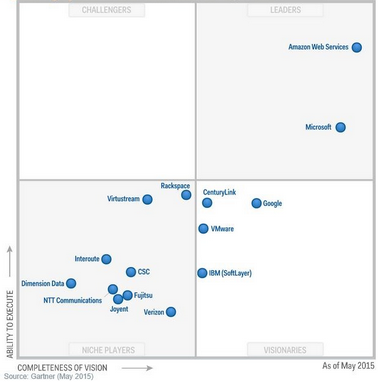 But here is the global researcher “Gartner Inc.” has to say on who can be called cloud service provider as on May 2015. Author LM PublicationsPosted on April 18, 2016 April 22, 2016 Format GalleryCategories AzureTags Azure, Cloud Computing, Cloud OS, Hybrid Cloud, Hyper-v, Public CloudLeave a comment on Why Managed vCenter Provider cannot be called Cloud Provider?